So by now you’re probably wondering a bit more about the artist. His name is Donny Gandakusuma, and I got in touch with him about a year ago to get him on board for WTWL. Check out his DeviantArt page here. Donny lives in Indonesia. This makes meeting difficult, as in, we’ve never actually met “in person”. But through the magic of technology — and email and social networking — Donny and I are able to communicate and send files back and forth, update the artwork, and give notes on small adjustments throughout each script. When I first approached Donny, I did so because I loved his work on the comic Super Knocked Up. 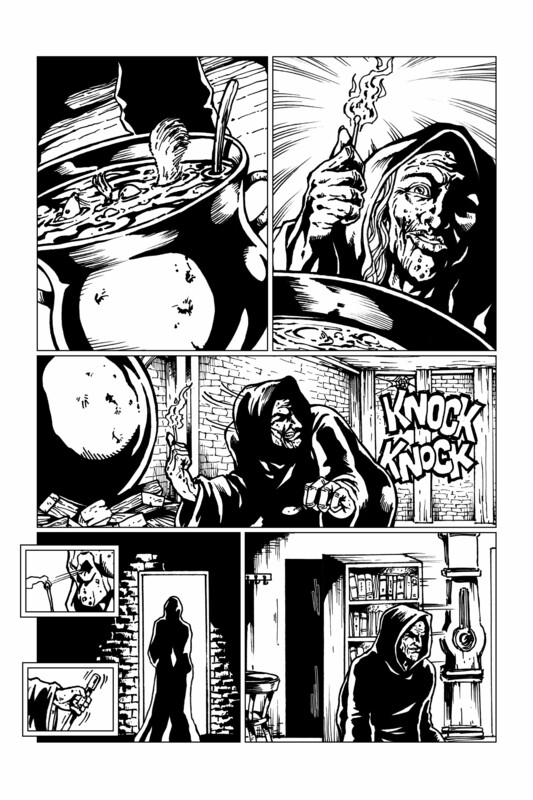 I thought his art was professional and his shading and inks would do wonders for the darker tones of WTWL. He hopped on board and became excited almost immediately, and worked with me on a test page and character designs (some examples of which appear at the end of this post). Donny does the majority of the artwork by hand, only adding a few elements digitally as needed. 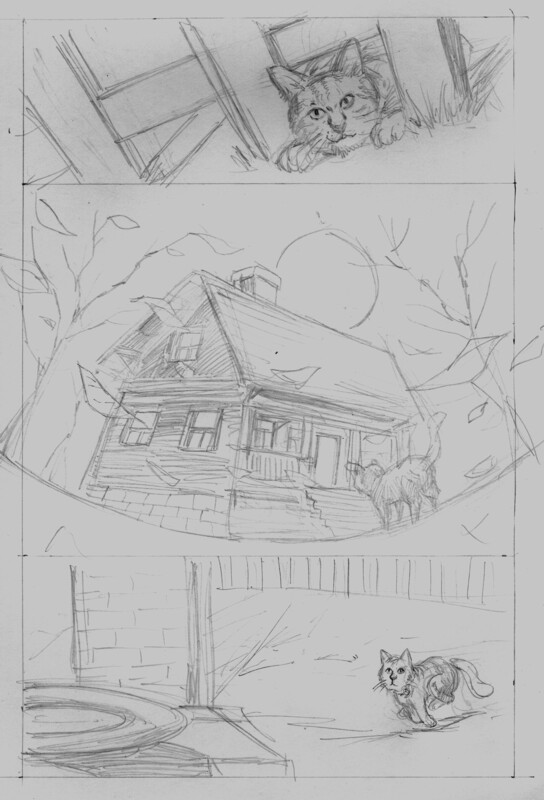 Our process (which will be discussed in a future post) involves a lot of back-and-forth, from thumbnails to pencils and inks, but thankfully we’re on the same page throughout. I’ve even sent reference photos for certain locations and characters, and when Donny adds or subtracts a panel, the project is typically vastly improved! I can’t stress enough how KEY Donny has been to the entire book, and the process, for WTWL. It’s a great experience to find an artist who you’re on the same page with as a writer, and Donny definitely “gets it”. His pace is quick and meticulous, it’s always a pleasure to see an email from Donny in my inbox, as I know quality work will be there when I click the files. When myself or Matt Dunford (editor) have a suggestion, note, or request a change, Donny is quick to supply the revision. I look forward to finishing an entire series with Donny, and anticipate great things for him as an artist. The first test page, got Donny the job. 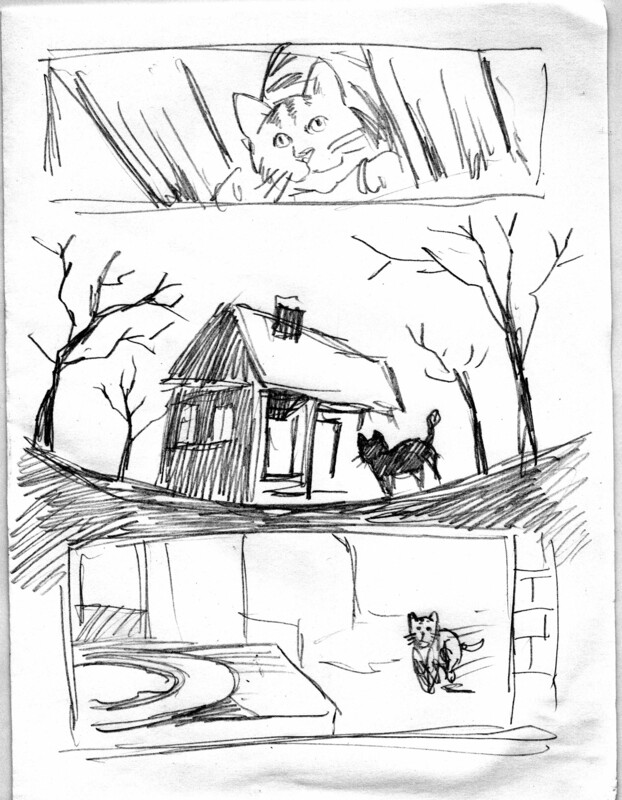 This entry was posted in Journal and tagged Art, books, comics, creating, Process, writing.